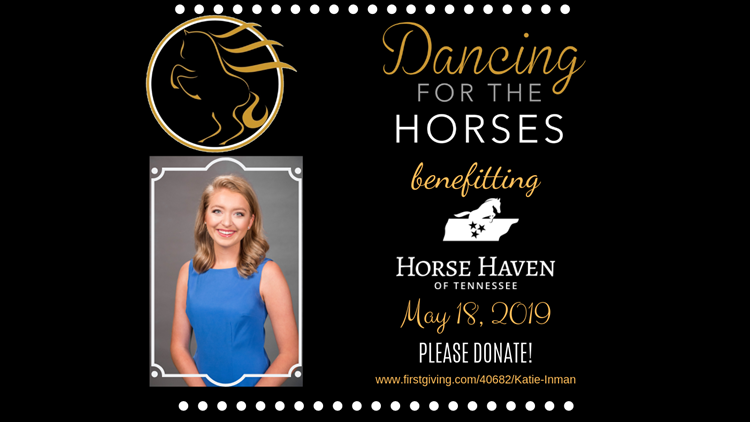 Help Katie raise money for Horse Haven of Tennessee through this "Dancing with the Stars"-type event! 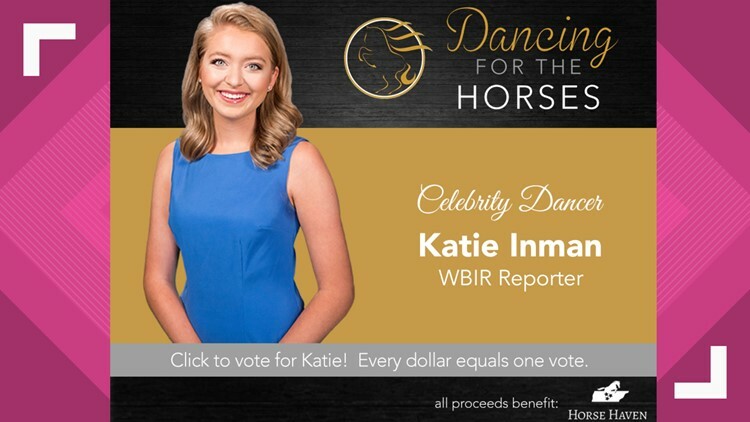 WBIR Reporter Katie Inman is competing in the 2019 "Dancing for the Horses" event to benefit Horse Haven of Tennessee. Katie will be participating in this "Dancing with the Stars"-type event on May 18, 2019 at Bridgewater Place in Knoxville. Until then, she is practicing a ballroom dance routine and fundraising. She is hoping to take home the winning title, but she needs your help to raise money! You can donate by clicking the link here. All proceeds benefit Horse Haven of Tennessee. One dollar equals one vote! Horse Haven is based in Knoxville and rescues and rehabilitates abused and neglected horses who deserve a second chance at life. The nonprofit organization rehomes the horses they rescue so they are able to live a full life after recovery. Katie will be working with a professional ballroom dancer at Go Dance Ballroom Studio. She will have eight weeks to perfect her dance moves before performing on the big stage on May 18! Katie is also having fundraisers leading up the big day. 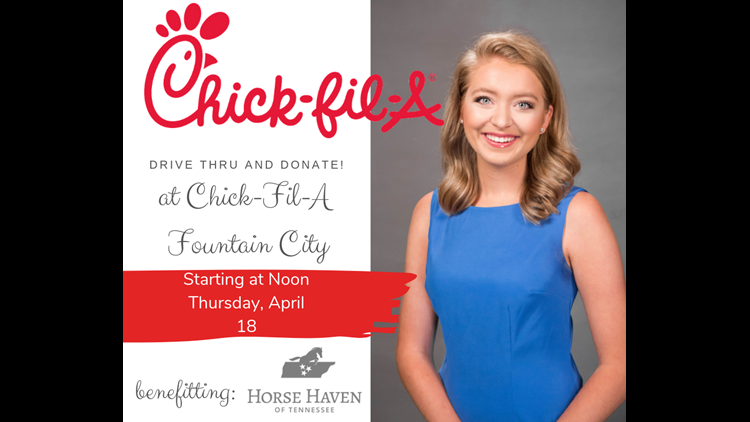 She will be at Chick-Fil-A Fountain City on Thursday, April 18 for "Drive Thru and Donate," collecting money for Horse Haven while being a celebrity drive thru worker starting at noon. Katie is also partnering with Bearden Beer Market on May 8, 2019 for a "Pint Night" to benefit Horse Haven. One dollar of every pint sold from 6-9 on that Wednesday will go straight to the fundraiser! Follow along on Katie journey by liking her Facebook page and following her Instagram and Twitter.